Editor’s Note: This interview was conducted on April 19, 2018, and the conversation reflects that time and has been edited for clarity, comprehension, and length. 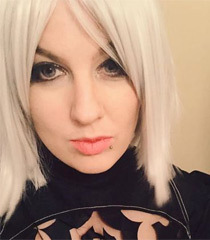 Kira Buckland is known for her roles in NieR: Automata, (2B) The Legend of Heroes Trails of Cold Steel 1 &2, (Elise Schwarzer and Celine) YS 8, (Laxia) and more! In this interview, Kira discusses her voice acting journey, a few of the characters she’s played, and the community. I understand that many voice actors get asked this question a lot but it’s always nice to hear about where they started. Can you talk about how you found your love for acting? Kira Buckland: I kind of knew when I was 11 or 12 that I wanted to do performing, but at first I thought I wanted to be a singer and it wasn’t something that I was very talented at, although I do love listening to music. I realized that I liked acting and doing stuff with my voice, but I didn’t really have the right look with a lot of physical things that I felt comfortable with. I think the path I took― you’re seeing it more and more now but at the time it wasn’t so common, I kind of started online in voice acting communities and I did that for a number of years. What was the crossover like for you in making the transition from voice acting as a hobby to becoming a professional? Kira Buckland: I think it’s really useful for people to start [voice acting] as a hobby because I know so many people who just want to start in getting paid for it and doing official stuff, but if you look at pretty much any career out there that’s not how it works. You have to train first, you have to maybe intern, and I think largely it’s the same for voice acting. I think a big part of why it took me a while to actually break into the industry was because I didn’t live where the work is. I grew up in Anchorage, Alaska. I love my hometown, I go back and visit often and I’m super proud of being from Alaska, but obviously, there aren’t any voice acting opportunities up there. As we all have learned, acting is full of rejection. At times it can become very disheartening and feel like you aren’t getting anywhere, but it’s okay to take a step back and regroup! Kira Buckland: Here’s the thing about rejections and anyone who works in the business at any capacity will tell you― It’s full of rejection but it’s not necessarily a rejection. You know, I have been on the side of casting minor projects and even right now I’m trying to help one of my clients cast some additional people for a project. And the thing is, they’re getting like hundreds and hundreds of submissions and when you only have a few roles to fill, it’s not necessarily that everyone else is being rejected it’s just that whoever is casting is making selections for who they want. What motivated you to start the Voice Acting Club? Kira Buckland: Well, a lot of it was because we kind of needed to fill a void in the current online voice acting scene if you will, because one of the sites that I started with from many years ago was the Voice Acting Alliance or VAA actually went down a year ago. [Actors] had Casting Call Club but some people were saying that it’s a little overwhelming with so many projects and so many of them were fan-dubs, and maybe they wanted to do stuff that was more helpful for them on their voice acting journey. So many people get in over their head when they have an idea for a project and they don’t know how to animate it, they don’t have people doing art for them, they don’t have a script yet or they don’t know how to work with voice actors. So the VAC has all of these resources to make sure that it’s a good agreement for both sides involved. How important is it to build a positive reputation in this community? Kira Buckland: Well, I think it’s very important because a lot of things have to do with personal relationships. A lot of my work opportunities and a lot of my friendships have come from people I know. There are a few attitudes that I think are really important, such as: being humble, being grateful, and being able to accept criticism gracefully― and by criticism, I don’t mean someone going on Twitter and being a total jerk. I mean constructive feedback that’s meant to try and help you. A lot of times it’s really hard. I’m someone who suffers from depression and I’ve made different posts about how easy it is to compare yourself to other people and think: “I’m not progressing at the rate that I want to progress.” So it’s a test of mental endurance. 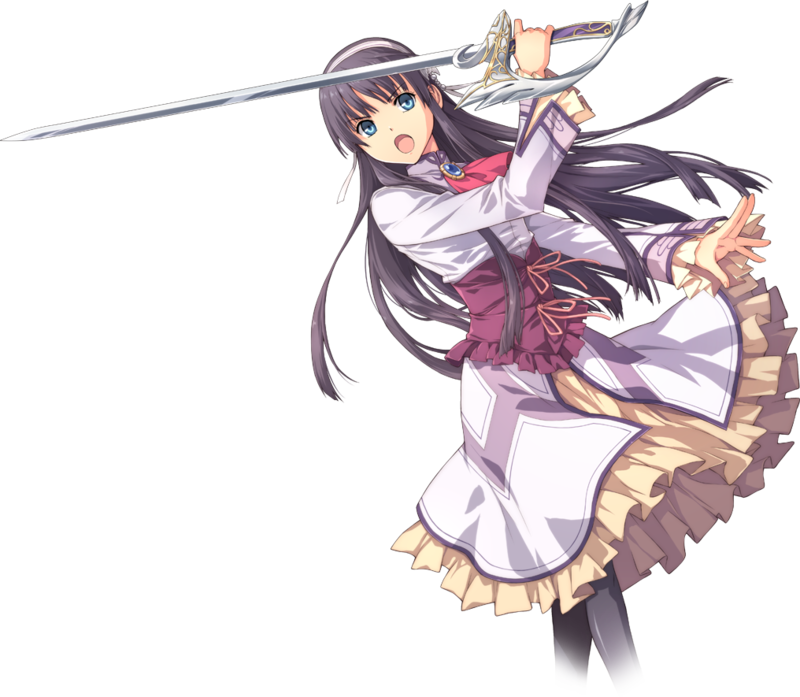 In The Legend of Heroes: Trails of Cold Steel 1&2 you voice Elise Schwarzer and Celine. What was it like voicing multiple characters since they have different personalities? Kira Buckland: I think one of the challenges or things that you have to keep in mind when you’re voicing multiple characters who may occasionally talk to each other which we later learned, is you can’t have them sound too similar or like bleed into each other. Now one of the nice things is you record each character separately. Anytime I’ve played multiple characters in a show or a game, we record all of one character first and then we go and record all of the other character, so it wasn’t like I had to switch between them really fast. You do little things to kind of differentiate the vocal placement or the texture. It’s easier if you have one character who’s really young and high-pitched and the other’s really deep and more mature sounding. I wouldn’t really say Celine is too low in my register, so one thing that we wanted to do was put a little texture in the voice. A little gravel. And Elise is [higher]. Obviously, those two characters have different personalities and so that helps create a defined and distinct character as well. 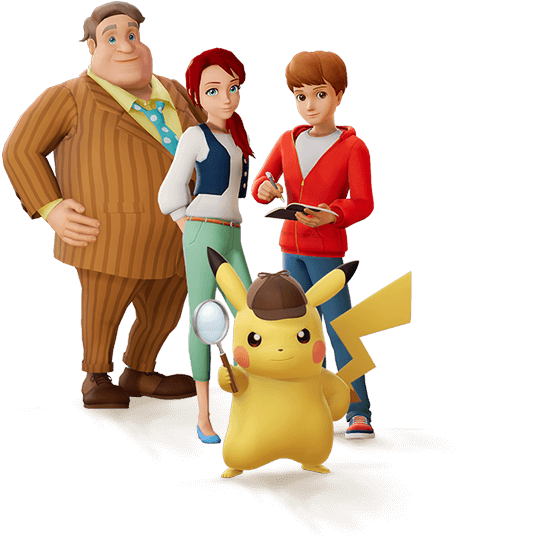 The video game Detective Pikachu released on March 23, 2018 and as a Pokemon fan yourself how did it feel to provide the voice for Emilia Christie? Kira Buckland: Oh yes! This is like a spin-off Pokemon game and normally the Pokemon games don’t have voices. Of course, I play all the Pokemon games and I’m obsessed with Pokemon Go and because the show was usually done out in New York, it didn’t even cross my mind that I might get an opportunity like this. It was incredible! I was a little nervous because when you have actual clients who flew in from Japan and they are sitting there you’re like: “Oh gosh I hope I impress them!” It’s very nerve-wracking and I think that’s something actors have to really learn to let go of. On that note, what’s your advice to actors to overcome that challenge? Kira Buckland: Don’t be stressed out if clients are watching or if you are working with a director you want to impress, because the minute you get into your head, you’re going to have a really hard time and be nervous so you just have to be in the moment.